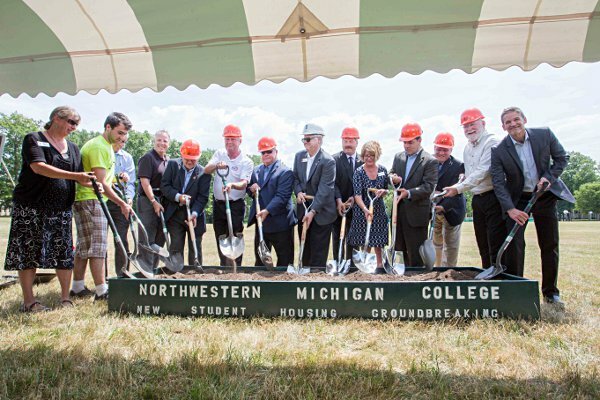 TRAVERSE CITY — Northwestern Michigan College held a groundbreaking ceremony at the site of a new student housing and fitness center Monday, July 11 at 2:30 p.m. The ceremony, on the north side of East Hall on NMC’s Front St. Campus, kicks off construction on the new $8.8-million, 140-bed project. This is the first student housing built at NMC in more than 40 years. The student apartments were constructed in 1973 and the East Hall dormitory was built in 1965. Current student housing at NMC has been at capacity for three years. 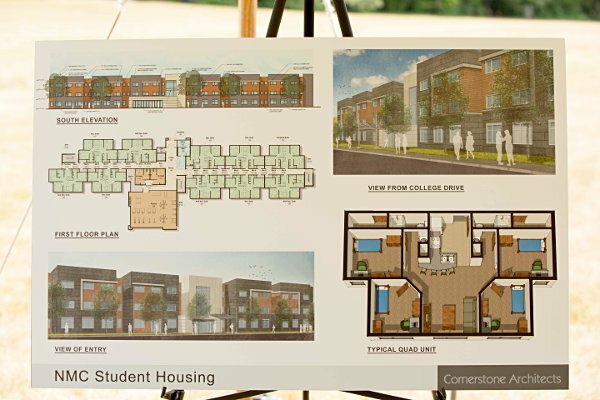 The new student housing project is expected to be complete and ready for students to move in by August 2017, for the fall semester. Spence Brothers will oversee construction. The company was awarded the project after a competitive bid process.